Qualitative Research is about the unearthing of subtle and intense human emotions that constitute experience of a Product. In our User research projects at UXArmy, whether Formative or later in the Product Lifecycle, we go to great extents to uncover the true feelings and emotions spanning a spectrum of target users. When we create Designs, we work with User Stories in which we try to cover as many situations of target user segments as possible. In my experience on UX Research and Design projects at UXArmy, I have interviewed several people. With every research session I seem to get better at what I do, Research. Specifically while conducting Qualitative Research for a Mobile App, that allows colour visualization of over 1000 shades of colours on images of rooms, I found several variations in the manner the target audience is going to use the App. In the start of the session, I prompted the respondents to recall and describe their home colouring journey — right from the time they thought about painting until the painting work was complete. While they spoke about their home colouring experiences, I patiently listened and took notes. After listening to four or five users, it turned out that there are subtle differences in the way different users go about painting their house. For new couples it could be first time painting of their new flat with high levels of excitement on colour choices whereas, for some others, it could be a routine once in two years exercise. Depending on the size of the house, number of family members, DIY or involvement of an Interior Designer vs paint contractor, creativity level, etc. different parts of the App have varying level of use and importance. Keeping those factors in mind and learning from initial users, I recommended building a Design solution that address needs of prominent users from our target audience. On another project we were tasked to automate a Sales process which was in practice inside a large organization since decades. The existing process was highly manual, complicated and easy to lose track. Several man hours were being lost in maintaining many excel sheets and it required marathon meetings to align information. The project goal was to automate the process via an intuitive and attractive Web Application. Out of the many aspects of our Research and Design journey for this project, there are two that stand out in my mind. In our first interactions to understand the working of current system, we found that the employees had fears of becoming redundant with the deployment of the Web application. The inputs on existing process were hard to come by. We were cognizant of this and therefore the first thing we did is to make a presentation about the goals of automation, phases of roll out, and new roles after this automation. That exercise helped to allay fears and we spent Research and analysis hours of the project sitting with employees at their workstations and observing their work and asking relevant questions. At every intermediate milestone on the Web Application project we took the software to the employees to observe their Interaction and gather feedback. The feedback was fed into the next iteration of Web Application development and the employees started believing that the automation is here to make the process efficient, and not to replace their jobs. The project immensely benefited from the ethnographic studies we conducted in our client office. In both the above projects, after each observation, I made use of Empathy maps on which a lot has been said in the book title Business Model Generation. The authors suggest businesses to use the Empathy map to document customers’ insights during the process of creating the business model. This is so that businesses will be able to better understand the needs of users and come up with innovative products or services to serve the needs. After our User interviews, at a neutral venue or in the actual work environment, we drew the Empathy map on a flipchart and use sticky notes to paste in each section of the empathy map. The stakeholders then analysed each of the sections and after intense discussions, we came up with Design decisions. - Indi Young’s book, Practical Empathy. Empathic design is an act of understanding of the users, where we first become aware of and be sensitive to the users’ feelings, thoughts, needs and wants, then used the insights gathered to design solutions for the users. We then have to adopt a beginner’s mindset, whereby we put our assumptions and experience aside. We have to question everything and listen to what the users have to say. Finally, we immerse ourselves into the users’ natural environment and do the task themselves. This may take more time and effort, but the team will be able to gather deeper and more emotional insights. When companies design their products or services right to solve customers’ pain point, the companies may be able to come up with products or services that are Innovative and gain Competitive advantage. One fine example is Airbnb. It was started because the founders understood the pain point of event goers in San Francisco; Lack of affordable temporary accommodations. This was just the beginning of their customers centered business. They continue to study their customers and make Design changes to service them better as described in How Airbnb Fosters Empathy for its Customers. One example was that the founders of Airbnb noticed that the Airbnb’s pickup rate was slow and it was due to the ‘Stranger Danger’ bias. Hence, they went through a whole series of changes, including adding reviews section, mandatory display photos and more, to help people Trust each other. The first step to be an empathic observer is to get rid of the ego, which makes one thinks that she knows best, just because she is the designer or expert in the topic. The next step is to put all the attention onto the users, watch what they do, listen to what they said and understand the users’ needs and wants. The final step is to develop a deeper understanding of what the users are going through. For the fear of being judged or just trying to be nice, Users often hold back their real thoughts and emotions about a product. 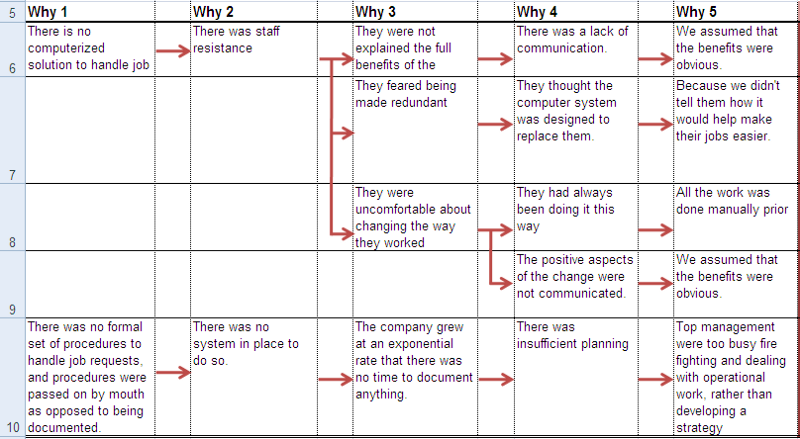 Hence, the 5 Whys Root Cause Analysis, to ask why 5 times, is used to find the root causes of the issue and to uncover these hidden thoughts and emotions. Once the research phase is over, the research team will be able to empathize with the users. But the rest of the decisions makers, who were not part of the research, will not be able to do so. 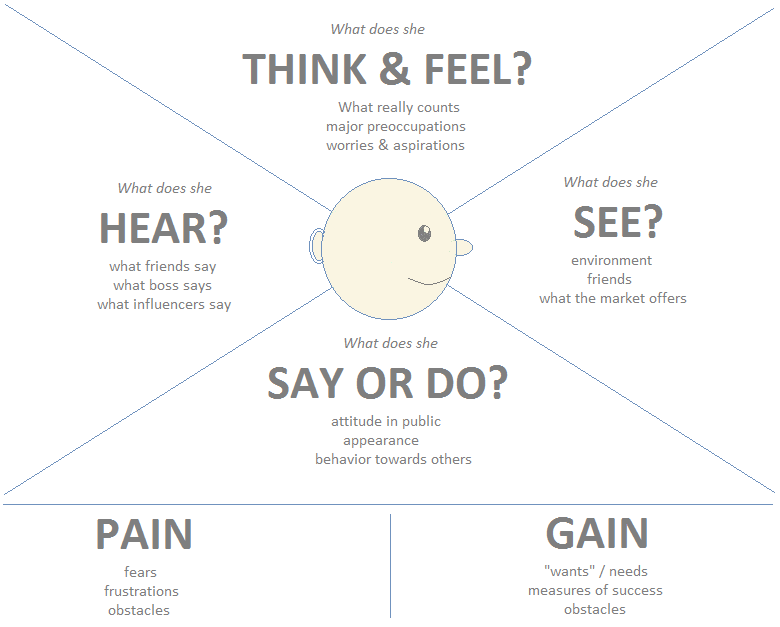 Hence, in order to bridge that gap, the Empathy Map can be used to present the information gathered by the research team. With sufficient practice and focus on putting users’ needs first, any one can pick up the skills of being an empathic observer and gain deep understanding of the users’ hidden thoughts and feelings. Empathic design is hard work, time consuming and sometimes may appear counter-intuitive. But it is the right way to go as empathic design allows designers to gather the hidden insights that are absolutely essential when designing a product or service that really solves the users’ pain points.